We're so glad you're here! We are Matt and Jess of Matt Cramer Photography, a Los Angeles based boutique photography studio that focuses on fine art newborn and baby portraiture. We are a husband and wife team that loves documenting these new little loves and take so much pride in what we do. Ask any of our clients, and they will tell you that we put our heart and soul into each and every session! With over 650+ newborns photographed to date, we are highly experienced in newborn photography and would love to capture your new bundle of joy. As parents ourselves, we are all too aware that those newborn days are truly fleeting and in a blink of an eye it really will be difficult to remember just how tiny they once were. Let us document them for you, so you will never forget. After newborns, we also love to capture the "Sitters", between 6-8 months old, and the "Cake Smashers" at one year! We feel that those are such important milestones to document in your baby's first year. 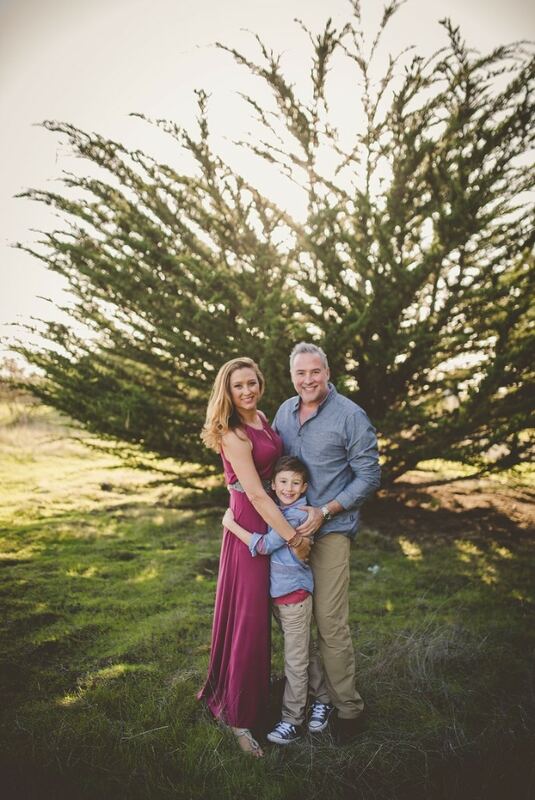 As a family, we love to visit our two favorite "M" spots- Mammoth and Maui! When we aren't shooting, you'll find us busy in our own backyard gardening or working on the most recent project or experiment that our son has dreamt up. We are huge fans of getting outdoors and enjoy hiking, bike riding and snowboarding. We are proud to be raising a son that prefers to be outside rather than inside! Give us a call or drop us an email- we would love to hear from you! They are only this little, once. Matt Cramer Photography is a long standing member of Professional Photographers of America. Our style is modern, contemporary and sophisticated with an emphasis on light, shadows and textures. As a professional Los Angeles Newborn Photographer, Matt is highly trained in studio lighting. As a result, this gives him the flexibility needed to achieve a great variety of looks in each session. We are drawn to a more organic and natural style of photography. Furthermore, all the prop and accessories that we use reflect this. We believe that any props used in our sessions should not distract from your baby. Our goal is to capture truly timeless photos that will become a piece of art in your home. A snapshot of your family’s unique and very special history. Los Angeles newborn portrait sessions are offered in Burbank photography studio only. All Los Angeles maternity and other photography sessions are offered in studio, as well. We like to schedule sessions within the first 5-14 days of birth. This is when newborns are still in their sleepiest state. 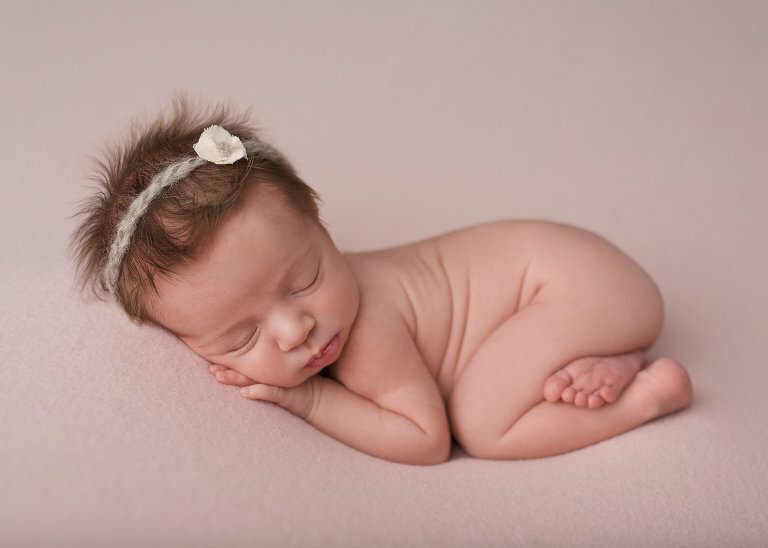 After two weeks, newborn babies tend to sleep less deeply. Also, they are more easily disturbed and posing them into those cute “sleepy newborn” positions can be a challenge. Furthermore, baby acne and colic may also flare up around this time. Sometimes we are able to accommodate babies a bit later than this timeframe. Hence, if you are just discovering us after your newborn baby has arrived, contact us. Sometimes we have last minute availability on our Los Angeles Newborn Photographer schedule. 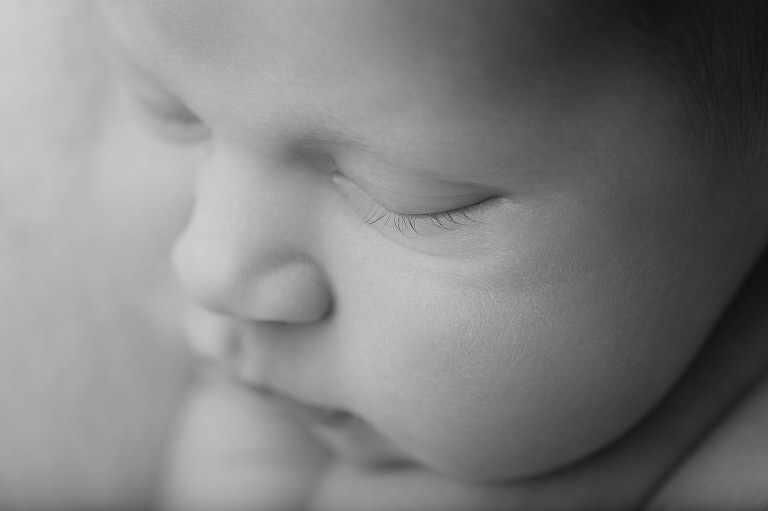 All our Los Angeles newborn photography sessions take place at our Burbank home photography studio. We prefer to use our home studio because all of our equipment is set up and ready to go. 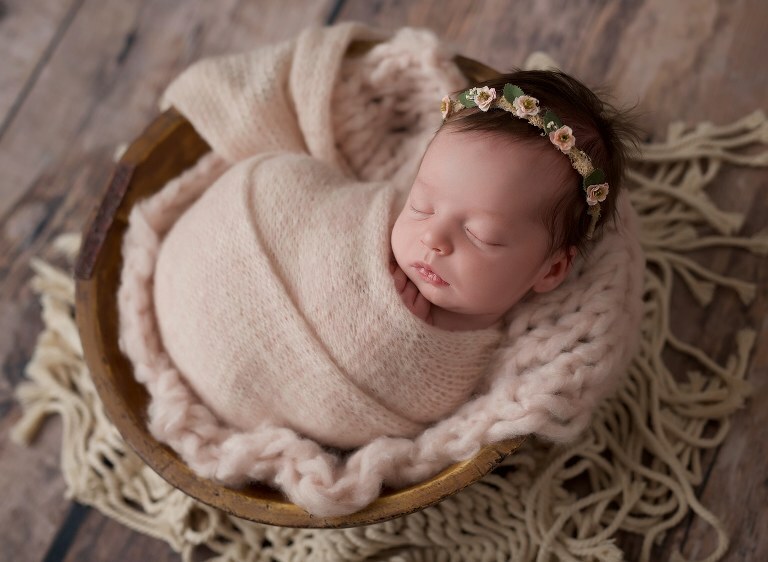 We provide all props for our newborn photography sessions. This includes everything you see in any image in our newborn gallery on this site. We often tell parents to just come with newborn baby and a diaper bag. They can leave the rest to us! In the newborn studio, there is a comfortable sitting area. In addition, we also have many cafes and coffee shops just around the corner from us. Like, Cafecito, Romancing the Bean, Simply Coffee, and Porto’s! We like to schedule our Los Angeles maternity photography sessions between 32 and 37 weeks. This is generally when your pregnant bump looks its best. Also, your energy level is still up. Our aim is to make your session a relaxed and enjoyable experience. All of our maternity sessions take place at our home studio. Jessica assists Matt on all Los Angeles pregnancy portrait sessions. We can assure you there is no difference between shooting with a male or female photographer to document this very special time in your life. In addition, Matt and Jess are extremely professional. They work as a team to ensure our clients’ utmost comfort throughout the session. Typically, Matt will use both natural window light and studio light in our Los Angeles pregnancy portrait sessions. We have a very detailed Maternity Session Prep Guide that is sent to all confirmed clients. This guide will help you prepare for your session. It covers what to bring, preparation, makeup, etc. We work with a very talented makeup artist. We can schedule this service for our clients for an additional fee. After our Los Angeles newborn portrait sessions, we offer our “Sitting Up” baby photography sessions. This is a great age for a Los Angeles Baby Photography Session. When baby is sitting up unassisted. So many great expressions, but they aren’t mobile yet! Sometimes we have clients that want to book before that. Especially ones that have missed capturing those newborn baby photos. But we advise them to wait until baby is between 6-8 months. This is the best timing for a Los Angeles baby portrait session. Your baby is ONE! Can you believe it? We offer our Los Angeles cake smash photography sessions in our Los Angeles home studio. First of all, this is a wonderful time to photograph your baby and document their first big birthday. We almost always get a lot of cute faces when it comes to baby’s first cake experience. Imagine frosting everywhere and funny expressions as baby tastes cake for (usually) the first time. As professional baby photographers, we always set up and prepare for a big, fun mess. We document every moment from start to finish. A Los Angeles cake smash photography session is something fun to do when your baby turns one! Finally, as you look at our site, we hope you get a sense of our photography style. We would love to work with you! Thank you for your interest in Matt Cramer Photography! Our clients come from all over Los Angeles, including Santa Monica, Manhattan Beach. Huntington Beach, Hermosa Beach, Redondo Beach, Torrance, South Bay, Palos Verdes. Pacific Palisades, Calabasas, Playa del Ray, Marina del Ray,Venice. El Segundo, Pasadena, San Marino, Arcadia, Glendale, Montrose, La Canada. La Crescenta, Burbank, Studio City, Culver City, Toluca Lake, Sherman Oaks, Encino. Woodland Hills, Valley Village, Tarzana, Reseda, Northridge. Porter Ranch, Valencia, Santa Clarita, Silver Lake, Larchmont, Los Feliz. Eagle Rock, Hancock Park and surrounding Los Angeles areas. 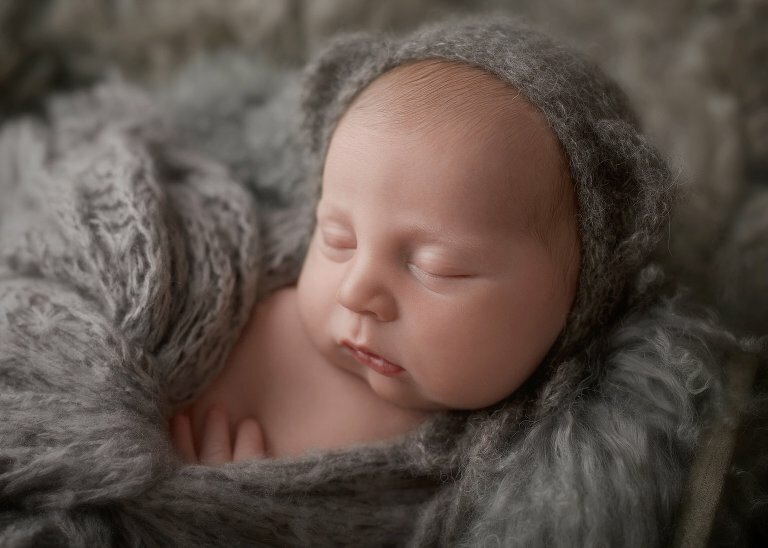 View our full newborn and baby portfolio of our newborn and baby photo shoots. Further, many of your questions can be answered on our FAQ page. Recent sessions are on our Newborn Photography blog. We are so in love with our photos and had such an easy, positive experience from the initial inquiry through to the final product. The photos are so beautiful, I can’t wait to share with family and friends. All of the different looks are classy and artistic and it was a relief to have all of the props provided and to be off baby duty for the length of the shoot. Matt and Jessica are incredibly sweet and talented. 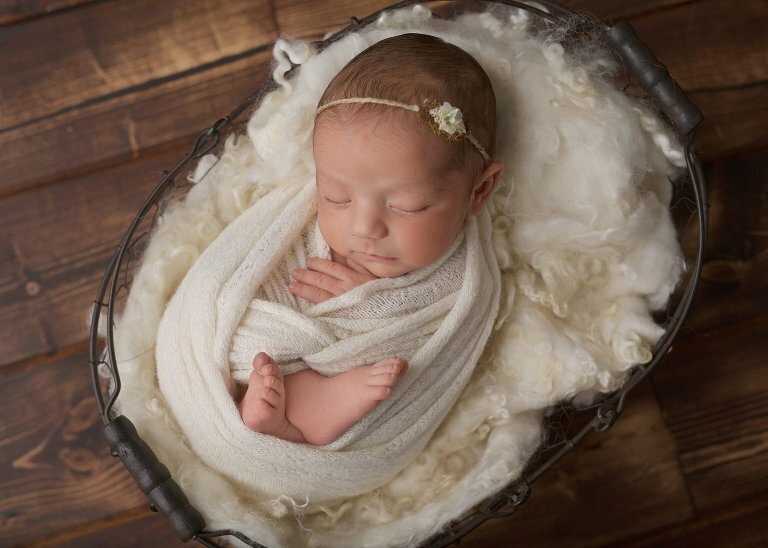 We are so grateful to have trusted this newborn shoot to them!